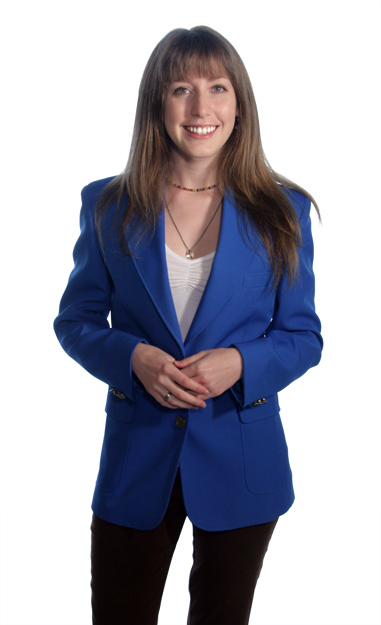 Wholesale men's blazers and women's blazers, blazer jackets and career apparel. Men's and women's career apparel, uniforms, blazers, sportcoats and upscale personal attire - including big and tall sizes. Wholesale group pricing for corporations, organizations, churches and schools. Featuring Men's sizes 34-64 (including Short, Regular, Long, and Extra Long) and Women's sizes 0-30 (Petite, Missy and Tall), we have matching blazer jackets available in most every size available, including short, average, and big & tall. 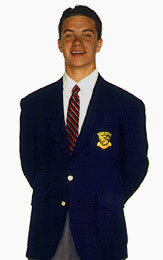 Plus children's school uniform blazers and academic regalia - cap and gown sets - for students and faculty members. 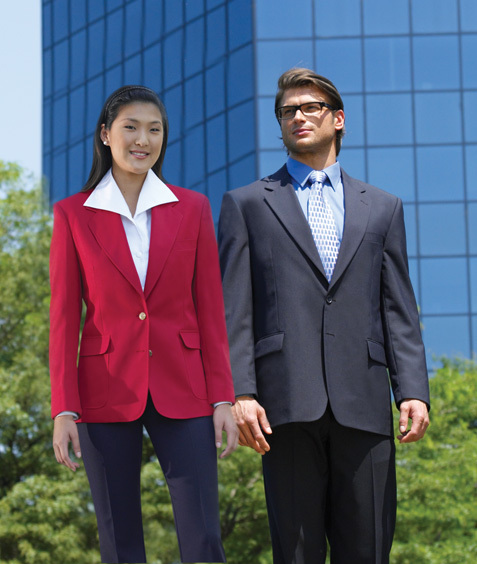 Blazer Depot is your best source for wholesale career apparel, church usher uniforms and upscale personal apparel. Plus blazer jackets in navy blue, light blue, black, gray, seafoam, artillery red, wheat, forest green, black, tan and olive green. Full fit blazers are no problem for Blazer Depot. 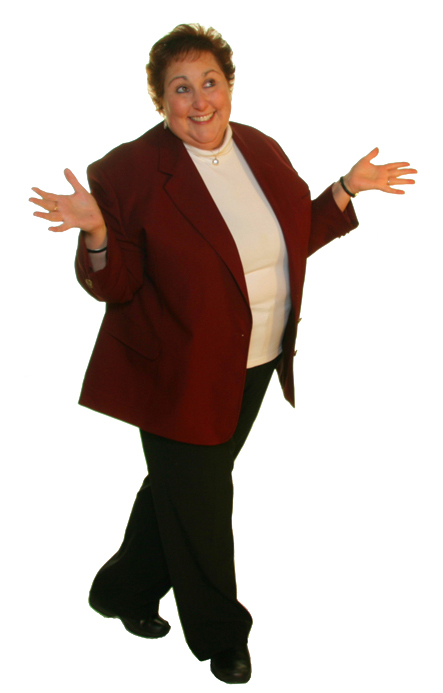 In addition to regularly sized blazers, we also offer plus-size blazers for men, plus-size blazers for women, and petite size blazers for women. Our men's plus-size blazers go up to size 64 and our women's plus-size blazers go up to size 30. Best of all, our plus-size blazers and jackets are available in the same colors as our regular sized blazers, from the traditional navy, black, gray, and burgundy to our new stylish blazer colors gold, purple, orange, camel, white, etc. In addition to blazers and sportcoats, Blazer Depot also sells wholesale men's and women's formal wear (tuxedo shirts, tuxedo coats, tux pants, formal vests, etc.) and will be happy to assist you with your uniforms or career apparel program. We work with companies, organizations and schools; churches, country clubs, choruses and bands; airlines, hotels and cruise ships; costumers, fraternal organizations and teams wishing to look their best! 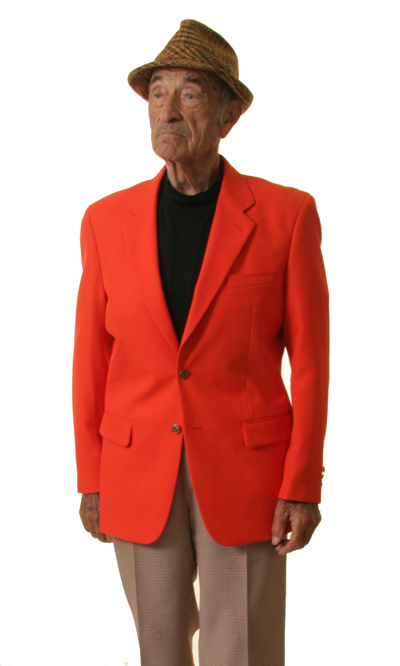 Because we specialize in group sales (bulk orders), and offer blazer jackets and sportcoats at wholesale prices, a twelve-piece minimum applies to receive the discounted blazer price shown on each page. 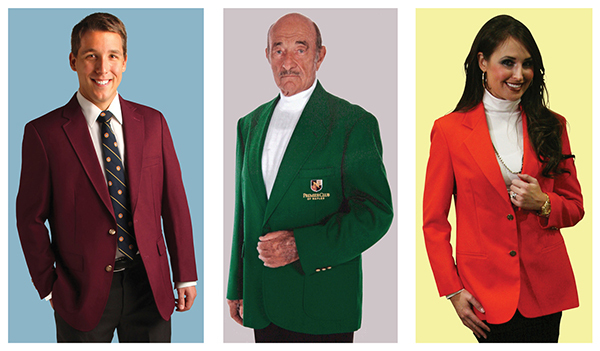 Samples or individual blazer jacket or sportcoat orders will be accepted for a nominal $5.00 surcharge. 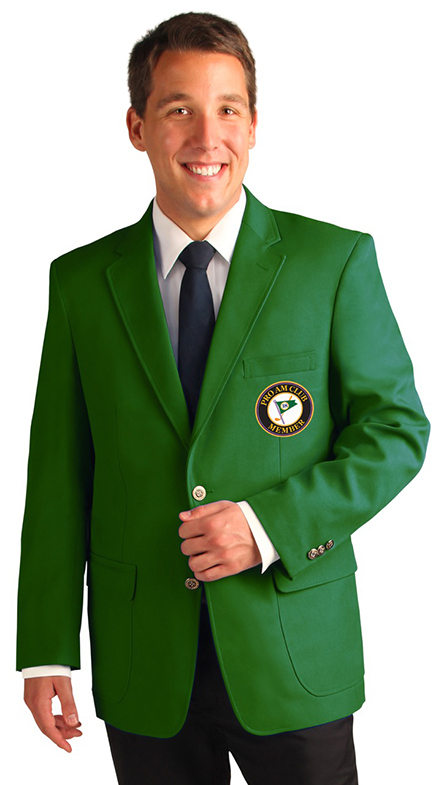 In addition to blazers and sportscoats, we can also supply you with emblems, crests, and embroidery with your logo, for your school blazers or corporate blazer or career apparel / uniform program. 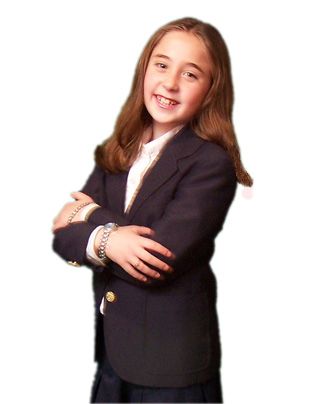 For School Uniforms, Blazer Depot carries an extensive line of school blazers -- boy's and girl's blazers suitable for logos, bullion emblems and embroidery. 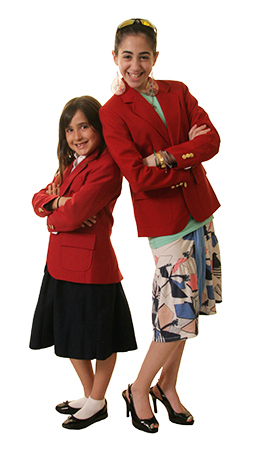 Children's Blazers never looked better!